This page will contain information about the alumni events like the annual Encina homecoming party and the Alumni Challenge fundraiser. If you are looking for reunion information, please check your class homepage (see Homepages at top of page). 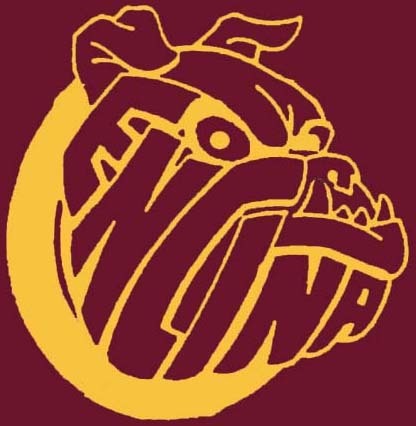 The money raised by the alumni challenge fundraiser goes to the Encina Booster Club, who allocates the funds based on requests from students and faculty. While much of the money is allocated to sports as you would expect from a booster club, a lot of the money also goes to non-sports programs. Visit Alumni Challenge 2018 for a description of the eighteenth Alumni Challenge. Visit Alumni Challenge 2017 for a description of the seventeenth Alumni Challenge. Visit Alumni Challenge 2016 for a description of the sixteenth Alumni Challenge. Visit Alumni Challenge 2015 for a description of the fifteenth Alumni Challenge. Visit Alumni Challenge 2014 for a description of the fourteenth Alumni Challenge. Visit Alumni Challenge 2013 for a description of the thirteenth Alumni Challenge. Visit Alumni Challenge 2012 for a description of the twelth Alumni Challenge. Visit Homecoming 2011 for a description of Encina homecoming 2011. Visit Alumni Soccer 2011 Game for a description of the game. Visit Alumni Challenge 2011 for a description of the eleventh Alumni Challenge. Visit Homecoming 2010 for a description of Encina homecoming 2010. Visit Alumni Soccer 2010 Game for a description of the game. Visit Alumni Challenge 2010 for a description of the tenth Alumni Challenge. Visit Homecoming 2009 for a description of Encina homecoming 2009. Visit Alumni Soccer 2009 Game for a description of the game. Visit Alumni Challenge 2009 for a description of the ninth Alumni Challenge. Visit First Annual Alumni Baseball Game for a description of the game. Visit Homecoming 2008 for a description of the eleventh annual Encina homecoming party. Visit Alumni Challenge 2008 for a description of the eighth Alumni Challenge. Visit Homecoming 2007 for a description of the tenth annual Encina homecoming party. Visit Alumni Challenge 2007 for a description of the seventh Alumni Challenge. Visit Homecoming 2006 for a description of the ninth annual Encina homecoming party. Visit Alumni Challenge 2006 for a description of the sixth Alumni Challenge. Visit Homecoming 2005 for a description of the eighth annual Encina homecoming party. Visit Alumni Challenge 2005 for a description of the fifth Alumni Challenge. Visit Homecoming 2004 for a description of the seventh annual Encina homecoming party. Visit Alumni Challenge 2004 for a description of the fourth Alumni Challenge. Visit Homecoming 2003 for a description of the sixth annual Encina homecoming party. Visit Alumni Challenge 2003 for a description of the third Alumni Challenge. Visit Homecoming 2002 for a description of the fifth annual Encina homecoming party. Visit Alumni Challenge 2002 for a description of the second Alumni Challenge. Visit Homecoming 2001 for a description of the fourth annual Encina homecoming party. Visit Alumni Challenge 2001 for a description of the first Alumni Challenge. 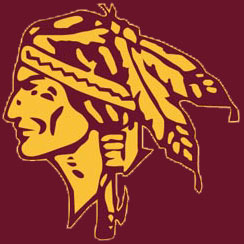 Visit Homecoming 2000 for a description of the third annual Encina homecoming party. Visit Homecoming 99 for a description of the second annual Encina homecoming party. Visit Homecoming 98 for a description of the first annual Encina homecoming party.